Still the one. Is there one particular beer that changed your life? (Is the Pope Catholic?) 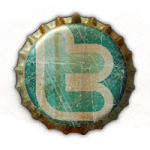 Instead of waxing drunk about it to all your friends, consider writing a 900-word essay on that one special brew that rocked your world and sending it off to DRAFT Magazine's "BeerMe Essay Contest." 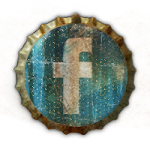 You could win a $100 gift card and get published. Beer money and fame; what else could you want? Long overdue. 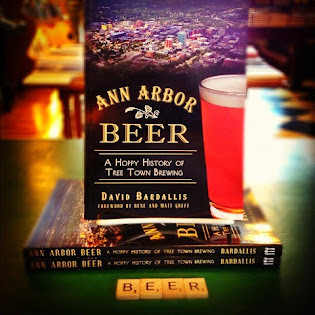 The fine folks from Taylor's well established Adventures in Homebrewing are opening another homebrew supply store in Ann Arbor. The new place will be located by Zeeb and Jackson roads and is expected to be open within the next month, pending final bureaucratic approvals and whatnot. Brew on! The original Wolverine. 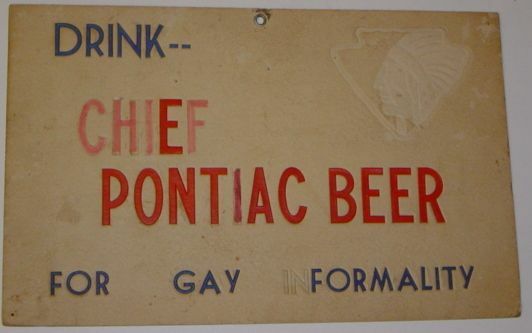 Long before Wolverine State Brewing Co. opened on Ann Arbor's west side, there was Pontiac's Wolverine Brewing Co. and its Chief Pontiac Beer, known for its "gay informality." 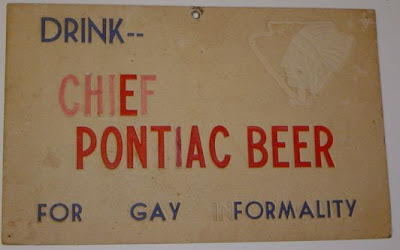 As of this writing, the eBays have a rare Chief Pontiac Beer ad for sale for those into collecting gay old brewery items. For Fred Phelps or anyone else who is not, there's Faustian Stout Baltic Porter pouring at the new Wolverine, and it's friggin' good. Brewer's Night erratum. There's a correction to the special beer being served at tomorrow's (Tuesday) Brewer's Night in the Grizzly Peak Den. Instead of dry-hopped Liberty Singel Ale on cask, there will be a regular draft of La Poisson Rouge, which is Steelhead Red Ale that's been barrel-aged for a funky caramel and tart flavor. Hmm, sounds fishy to me. Catch this rye. Also on Tuesday night (6pm), Original Gravity in Milan is releasing a small-batch Rye PA, brewed with, you guessed it, rye malt and a buttload of Simcoe hops. No word from brewer Brad Sancho on whether or not this beer is gay.